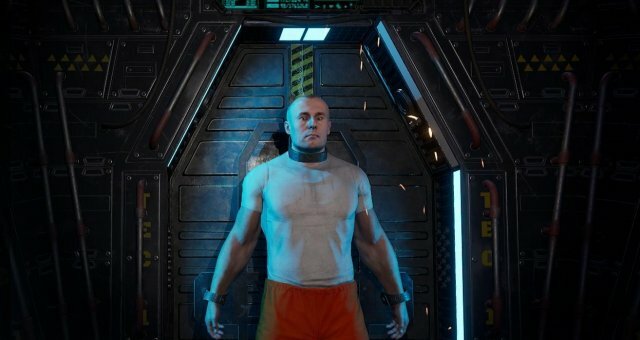 This tutorial contains everything you need to know about SCUM. Scum is a multiplayer online survival game developed by Croatian studio Gamepires, produced by Croteam and published by Devolver Digital. The game is described as a "prison riot survival game" and features an open world. It entered Steam's early access on 29 August 2018. The game uses Unreal Engine 4. The play area is 144 square kilometers. 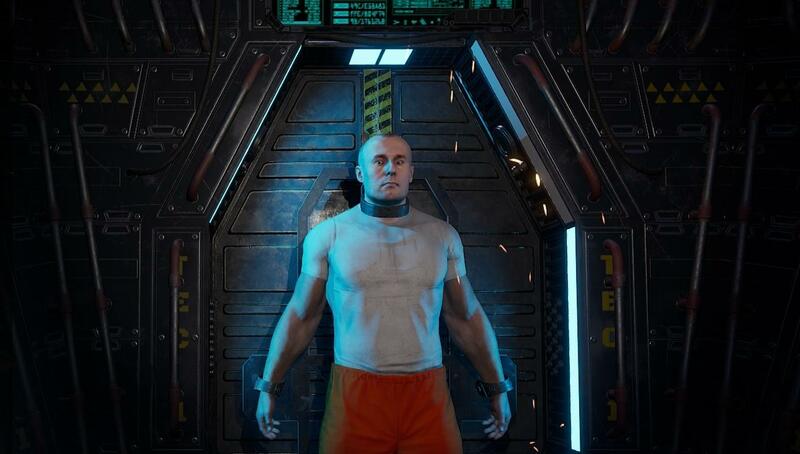 "The world’s unquenchable need for entertainment has turned towards bloodlust as entertainment behemoth TEC1 is set to premiere season two of its television sensation Scum. This new season moves the contest from the rugged, enclosed Alcatraz sector to the full grandeur of Bagne de Cayenne, an island with a sordid history of violent incarceration. Both fan favourites and new prisoners will clash in a ruthless war of survival while battling for the support of viewers, producers, and corporate sponsors for fame, gifts, and a chance of life after death." It is the time of a new world order. Large private corporations have obtained absolute control over the world and its resources. Countries and governments are merely pawns controlled by money and corporate interests. The whole world has united under the reign of greed for profit. In human history, there has never been a greater gap between the rich and the poor, between the elite and the rest everyone has been enslaved, turned into mere tools for creating more money for that 1% of the population, the privileged ones who regard themselves as the rulers of the Earth. Most of the population refuses to accept this state of affairs. The repressive police and military forces have been keeping things under control but more and more people are starting to oppose the rulers, openly showing their disobedience and calling for justice. Labeled as criminals/terrorists, they are transported to privately-owned correctional facilities. Once locked away, they rarely live long enough to come out alive. In addition, the few who somehow manage to survive the prison terms, usually develop serious mental disorders and die quickly upon the release, being unable to adapt back into society. There are even rumors about illegal experiments conducted on the prisoners; as has been proven so far, these remain only unjustified claims. The elite wants to keep things under control and retain the existing situation at all costs. Although the death penalty, for instance, is even declared for lesser crimes, this doesn’t help much. Finally, the proposition by TEC1, a global broadcasting company, is accepted and Project "Island” is launched. The solution it offers is very simple: instead of oppressing people even more, a special TV reality show will be created and broadcast 24/7–as long as people are entertained, they will forget about the real problems! It’s a concept that has proven itself effective many times before and so it happens again! Although the island’s perimeters are heavily guarded, many try to escape however, there is no official confirmation that anyone has succeeded in their attempt. On the other hand, rumor has it that there are a few successful escapes during the first season of the show and that a secret alliance called ‘Renegades’ has been formed by ex-cons to fight the oppression. So far, the government has neither confirmed nor denied the existence of ‘Renegades’ resistance movement. 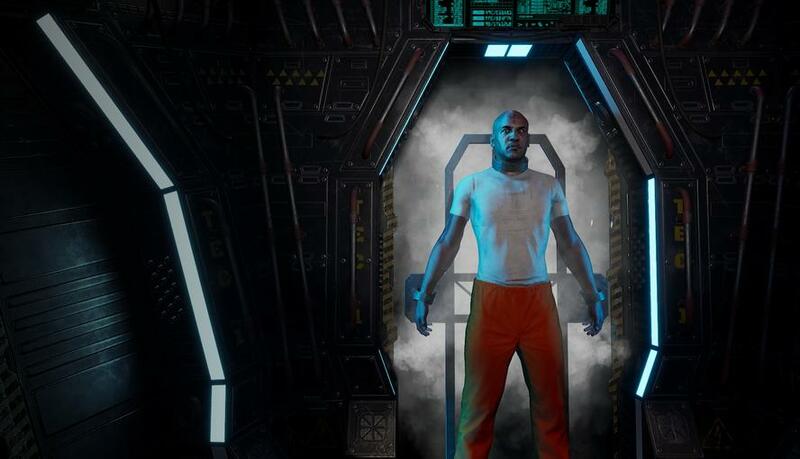 For the purposes of the show, the convicts have bio control units (BCU-2) implanted in them, which connect directly to their spinal cord. BCU-2s are the very first mass-produced bioengineered AI units capable of controlling any kind of living organism. The BCU-1 was originally used for medical purposes only: to keep the brain-damaged patients alive by inducing a coma and stimulating their life functions until the patients get better. However, an upgraded version of the unit was then produced for the industrial and military purposes. This upgraded version, the so-called BCU-2, is a radio-controlled unit with more options and it could replace all the subject’s basic brain functions. What this means is that once the real brain dies, the company could easily take over the subject’s body and control it by a simple programming code injected into the BCU-2 unit. The common practice of BCU-2 usage is to take control over the body when the subject dies. In this case, the BCU-2 starts to activate all subroutines and it takes a few minutes for the unit to resume all bodily functions. Once this happens, the corpse is reanimated and is thus brought back to life. To stay operational, the unit has to ensure a sufficient energy flow by food consumption. The subjects controlled by BCU-2 unit are programmed to attack the living convicts and they feed off their flesh until the victim dies and becomes controlled as well. All BCU-2 units are capable of intercommunication via shortwave radio signals within the range of 250m. Depending on the programming, BCU-2 units can perform various bodily actions such as walking, running, jumping, climbing and grasping. To a certain extent, they can even coordinate the limbs to perform complex actions such as wielding a weapon or throwing a rock. If the unit is fully charged, it may stimulate the body to move faster than a normal human being does, but as its energy runs out, the controlled subjects are slowed down and experience only occasional energy bursts. These subjects are also known as ‘puppets’, ‘spooks’, ’biters’, ‘walkers’, ‘pawns’, ‘roamers’ or ’runners’. The BCU-2 is capable of broadcasting footage directly from the subject’s eyes and this feature has become extremely popular among the viewers. To be able to experience the very last moments seen by a dying man is an instant hit on television and has helped TEC1 to take reality TV to the next level. The software that controls BCU-2 units can be upgraded from the TEC1 network servers in real-time. There are rumors about new software upgrades allowing pay2move service, which enables the viewers to control their own ‘puppets’ during the live show broadcast. All BCU-2 units are equipped with a locator and a small explosive charge which activates if an attempt to remove the device has been made. It is not completely impossible to remove it; yet, the removal process requires surgery and some knowledge in electronics. It is also recommended that it’s carried out during general anesthesia. Also, BCU-2 units can be jammed and disabled for some time or permanently. For both options, additional hardware and software may be required. Jamming devices can limit or cut off the communication between the implant and master server by generating white noise. Using jammers for longer periods of time may result in the activation of the self-destruct subroutine within the BCU. Once it is activated, the convicts have a limited time to restore the BCU’s connection with the master server. When the connection is restored, the self-destruct sequence is turned off. To disable the implant, the BCU has to be reprogrammed to simulate correspondence with the master server. This is done with a device capable of making the connection with the BCU and certain software that acts as an upgrade. Before disabling the unit, it is necessary to cut off its connections with the master server; otherwise, the unit will detect an unauthorized access and trigger the self-destruct sequence. All the ‘puppets’ can be terminated only if their BCU is destroyed or removed. The implants can be manually torn off of the back of the neck or smashed by striking with them with a hard object. Once the units have been destroyed or removed, the self-destruct sequence will initiate (announced by a Beeping sound) and after 30 seconds, the explosive charge will be activated. The convicts are transferred to the island by air. Before the departure, they are allowed to take a few items with them. They can select them from the list of offered items: these can serve for defense (Knife, brass knuckles, pepper spray, hand Axe, etc. ), survival (pocket Swiss knife, compass, flashlight, map, lighter, matches, survival guide, fishing gear, etc..), protection (bug repellents, small first aid kit, bandages, antiseptic wipes, alcohol, butterfly closure strips,...) or they can comprise plain food and water ratios (Military MRE, 0.5l bottle of water, canned food). The newcomers are dressed in standard prison jumpsuits of orange color and provided with parachutes. Once they are delivered to the drop location, they are pushed out of the plane. Most manage to open the parachute and survive the fall. It is not uncommon that the prisoners on the island wait and kill the newcomers when they are in the air, looting their bodies upon landing. It is recommended to activate the parachutes as late as possible to buy some time for an escape out of the drop location. Except for the convicts, the planes also drop supplies for the prisoners on the ground. These can contain anything from food, weapons, ammunition to clothes and gadgets. Sometimes fake booby-trapped supplies are dropped, too. The dropped supplies are regarded as hot zones because they attract gangs of prisoners, who fight among themselves for the dropped cargo. Once they are on the ground, the convicts are free to do whatever they want to in order to survive – there are no strict rules. Most of them do get killed in the first 24 hours anyway. The rest, those that manage to survive, have a chance to achieve the celebrity status and become as popular as movie stars. The celebrity status might provide them with additional sponsored items that are dropped in the vicinity of their locations. However, the same status may prove to be dangerous – being loved by viewers is a good thing; still, gaining too much popularity will put a price on your head! The easiest way to get attention and gain popularity is to kill a celebrity. Popularity points (achievements) are somewhat proportional to the time of survival on the island. More kills usually means more popularity points, but sometimes the plain survival and escape from difficult situations could bring even more points. It is not unusual for the audience to identify with the positive characters’ suffering and struggle. Although extremes always attract the viewers’ attention, positive characters rarely stay alive long enough. In the first season of the show, a few exceptionally positive characters grouped up to survive. Eventually, the group became larger, influential and strong enough to start reorganizing chaos into a well-balanced society. Soon enough, the audience started to regard them as heroes and hope arised among the common people, followed by an increase in disobedience towards the government and the ruling elite. As canceling the show would make people even angrier, the producers decide to provide positive characters with tougher challenges and several new deadly scenarios are staged in an attempt to eliminate the leaders of the group, who always miraculously manage to survive. The ratings went up and the whole world starts watching the show. It all ends with the leaders of the group disappearing at the end of the first season while engaging in conflict with the hunters (a mercenary squad dropped onto the island to hunt and kill prisoners for trophies). Apparently, their bodies completely disintegrated after an explosion – that’s what the producers claim. This grand finale episode breaks all the ratings; supposedly, over 70% of population watched the end of the first season. Thus, "The Island” becomes the most successful show in the history of television. The story doesn’t end here – a few weeks after the first season has ended, the first activities of ‘Renegade’ resistance movement are recorded. Allegedly, the lead characters have survived, removed their implants and managed to get off the island. The rest of their allies break into smaller groups and the affairs on the island soon gravitate towards the initial chaotic state. Almost during the whole first season of the show, there are no other scenarios than capturing life or death situations between prisoners and puppets. Occasional encounters with wild animals or former island residents are presented as well, but it’s only at the end of the first season that the producers decide to spice things up with custom-based scenarios. The main reason for interfering in the lives of the prisoners on the island is to keep under control the faction that threatens to take over the island. A special tactics group is deployed directly at the HQ. The audience welcomes this outer interference and for the next season, the producers arrange several scenarios to pump up the tensions on the island. Firstly, the puppets are upgraded with a new kind of software and become capable of performing more actions – group movement and action. Now it’s possible to carry out a large-scale attack on a certain area, or route a horde of puppets to roam in certain directions. These hordes then serve as moving walls that can block or redirect the prisoners’ movements, even split large groups into smaller ones if necessary. For the purposes of the show, the producers also arrange the control over the weather conditions. Most of the time they leave it as it is, but sometimes, when it’s necessary for the atmosphere, they change the ambiance setting by pulling on clouds and starting storms. Large-scale disasters such as forest fires, earthquakes and floods can be initiated at will. Even genetically modified pests (Mosquitoes, Killer bees) can be released on certain areas– upon request. Companies have invested large sums of money on bio-engineering; years of research and development have been spent to create special animal breeds for military purposes and attacks. These animals wear implants with the last generation of BCUs, have a natural body armor, some of them even possess Bioweapons, while others are genetically modified crossbreeds. It is not unusual for these species to be tested on the island. Company would drop a few of those creatures on a certain area and leave them to cause havoc until they are dead. Each generation of these bio-animals gets improved until the perfect killer is created. In the second season, Company will introduce special hunting session episodes featuring viewers as participants of the show. Some of them are rich citizens and others are picked as lottery winners. They are deployed on the island for a limited period 1-3 days and left there to hunt for the prisoners. The hunters with high scores are given wealthy rewards, usually money or stocks, but most of them are there for fun and glory. Their goal is to track down popular convicts and kill them. The more popular victims will assure more praise from the audience. All the hunters choose their weapons and armor. They are usually heavily equipped but that does not guarantee that they will get out of the island alive. Actually, the mortality rate among them is high among because most of them come to the island unprepared. Also, the convicts see in them a fantastic opportunity to get hold of weapons, armor and other tech toys. It is not unusual that the convicts turn the tables and hunt the hunters down to get their goodies. And guess what? That is what the viewers like the best! Once their deployment time runs out, the hunters have to pick a zone where some sort of transportation awaits them. If they miss their ride, they remain on the island until the next group of hunters is deployed. On several occasions, special military squads can be deployed on the island. The purpose of their deployment is to destabilize larger and organized groups of prisoners or to eliminate popular convicts who pose a threat to national security. These black ops are usually hidden from the TV cameras. The last known black op happens during the second season and is a rescue mission for the survivors of the flight MB324, the plane that crashes on the island. Apparently, the producers have deliberately crashed the plane to boost the number of viewers. The island has been selected for several reasons: it is located on a remote location, far away from the usual sea traffic routes. Before "The Island” project, the island has a population of 200K people. There are several smaller cities, many small settlements and villages, farms, an airport, a military base, several industrial areas and a prison facility, of course. It’s a green island with a Mediterranean climate: the forests and fields are full of wildlife and it’s a pleasant place to live. Its coastal area is dotted with nice beaches, hotels and holiday resorts, while its central part is mountainous, with thick vegetation and snow-covered mountains throughout the whole year. So what is the deal here? Well, nothing too complicated: where there is money, there is a way! Aided by the local government, corporations start to lay off residents with the excuse that business is going bad. Without jobs and a steady income, everyone turns to the black market, which is controlled by the same people. Crime and violence escalate along with criminal activities. The police and military start patrolling the streets and a dusk-to-dawn curfew is imposed. Still, these security forces do not provide any sort of protection; instead, they continue to oppress people regardless of whether they are obedient or disobedient. Then, as if this wasn’t bad enough, an "accident” occurs at the chemical plant, which results in toxic materials spreading via air and water. This then leads to an epidemic and soon people are dropping dead like flies! Quarantine zones are created and all the sick and infected are successfully "neutralized”. The rest of the survivors are offered small settlement fees if they agree to relocate from the island, because the government has to carry out a detailed inspection. The smart ones accept this and leave, while the rest simply disappear in the systematic cleansing operation that follows. Once the alleged decontamination is finished, the government declares that everything is safe but that the former residents (the few thousands who have left the island and are still alive) are not interested in returning to their homes. TEC1 Global Networks rents out the island and a few months later "The Island” reality show is announced. Soon after the show starts, the ill faith of the island and its residents is quickly forgotten. 12 km x 12 km = 144 m2. 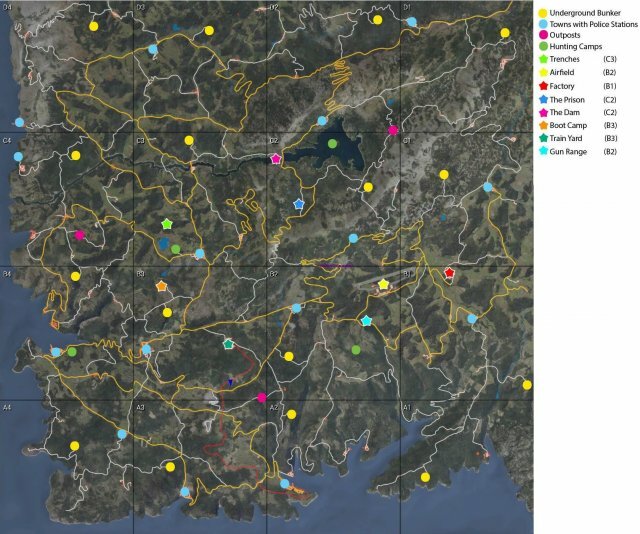 Maps (Loot, Towns, Police Stations, Points of Interest & More). Drones that fly around and spectate players are here just to make a better atmosphere. If your hunger or thirst reaches zero, your stamina will suffer, but you will survive for some time. 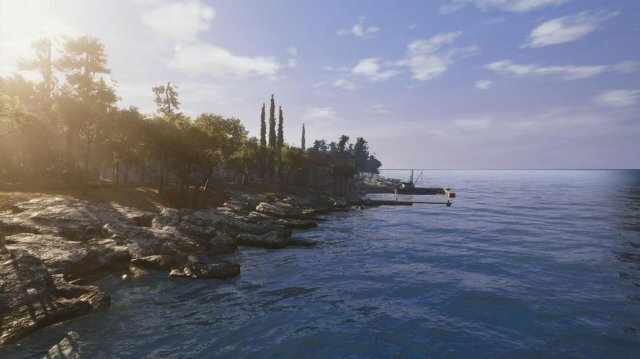 The in-game day lasts 4 hours and night will be 2 hours, but it could be changed by server owners. There are different color options in a crafting menu. Gray means you haven't discovered a recipe or a blueprint. Yellow - you are missing some of the items to craft that object. Red - you don't have any of those items. Your character has 2 types of stamina. It may take some time for you to rest, but stamina that is used in a hand-to-hand combat will restore faster. 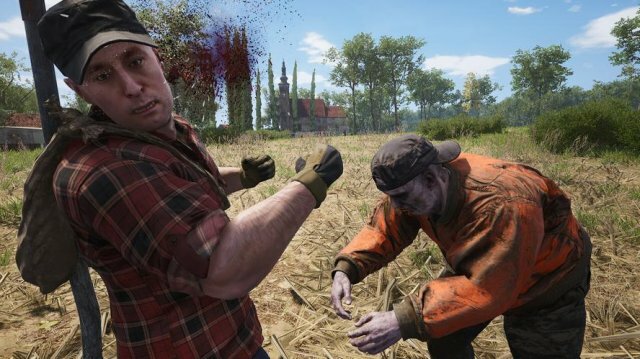 If you land 2 punches in a hand-to-hand combat without being hit you will activate a combo which allows you to punch a 3rd time without spending any stamina. When you re-enter the server, you don't spawn in the same spot where you left, but somewhere nearby. Test servers will be available, so everyone can play around with different weapons and gear. Hold F at someone, to invite them into a squad or group. Hold TAB to open interaction menu - urinate for example.